A recent archaeological expedition in Icewind Dale has uncovered a remarkable discovery: the Spine of the World mountain range is, in fact, the actual spine of a great giant. 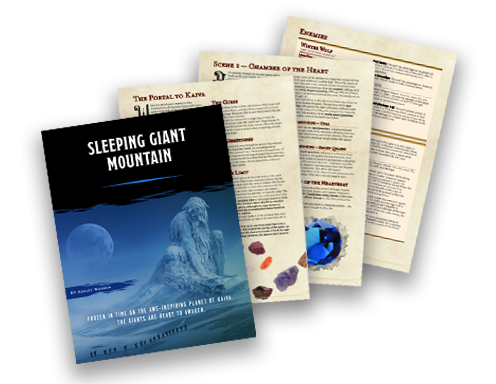 The discovery confirms an ancient legend, that giants as tall as mountains once roamed the Forgotten Realms. Lead archaeologist Silja Stengravar knows the truth. Centuries ago, a lich, threatened by the giants’ ancient elemental power, banished their race to an abandoned planet known as Kaiva. The lich was defeated, but its curse remains, protected by its minions in the heart of Garagai Mountain. 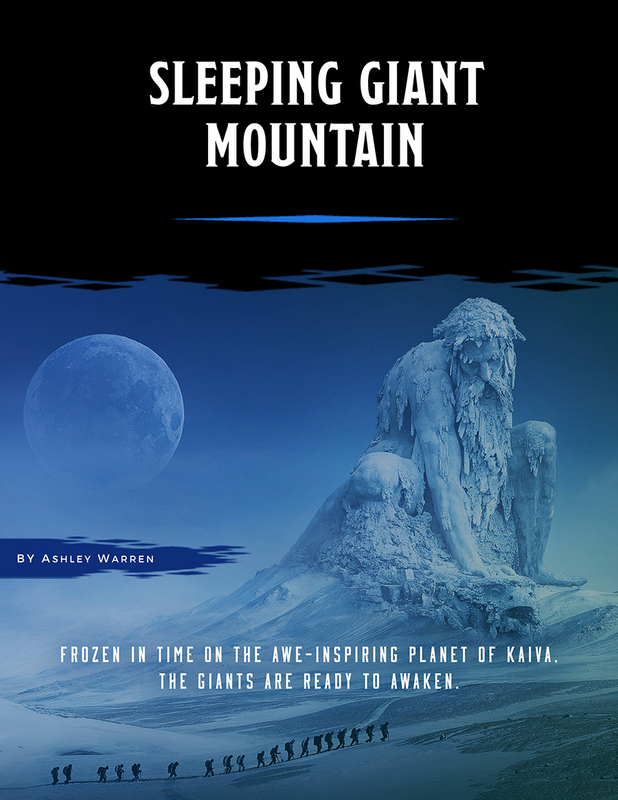 Held captive to the curse, the giants are suspended in time, unable to roam free and claim Kaiva as their own. Silja’s discovery has awakened the portal to Kaiva. Will adventurers brave the perilous journey through the hostile and awe-inspiring planet to destroy the curse and reawaken the giants?